In the European countries grow onions directly from seed. For this purpose there are special varieties, which require strict observance of farming, intensive use of fertilizers and protection from pests. Many gardeners use this technology in Russia. In the middle lane of the big distribution has received a two-year method of growing onions. In the first year engaged in the cultivation of seeds of onionsand sets. Little bowovki planted after winter. By next summer they turn into a full bowavici. 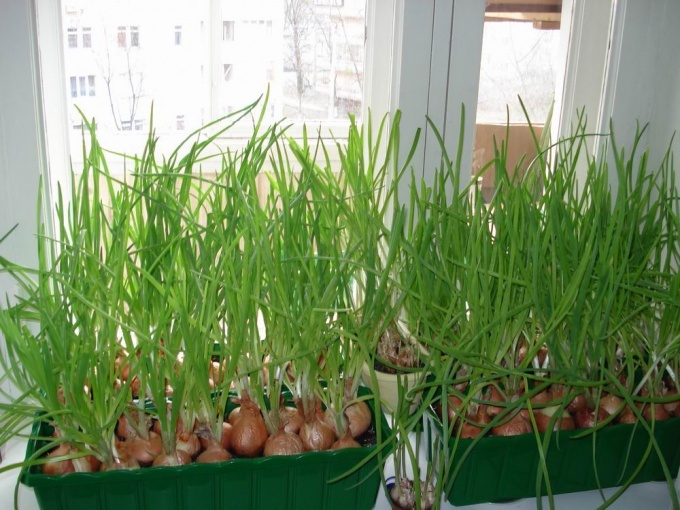 If there is no opportunity to grow onion on your own, then it can be purchased in the spring market. You can buy a sufficient amount of planting material. A good harvest usually begins in the spring, but for bowand – in subsequent years. This culture does not like the same place. Re-seeding in the garden is best done after four years. Otherwise, a good harvest will not. It is recommended to put on the beds where it grew cabbage, cucumbers, tomatoes, courgettes and early potatoes. Time of sowing has a significant impact on yield. Planting is best in the first third of may. If planting will be done later, it will decrease productivity. Early planting can result in formation of arrows and flowering, to reduce the probability of which will help winter storage sets at temperatures below 18 degrees. If the sets are small, it strelkovanie less likely. Large bowovki larger than one and a half inches in diameter should be planted in April for an early green pen. A few weeks before planting, seeds need to be heated. This is done for 8 hours at a temperature of 40-45 degrees. This fully will increase the resistance of plants to disease. For bowand more suitable for Sunny places where there is loose soil and plain topography. Before you dig, land to feed. Per square meter you need to make about five pounds of compost, 30 grams of ammonium nitrate and superphosphate, 20 grams of potassium chloride. If you are planting on peat soil, be sure to take care of phosphate fertilizers.